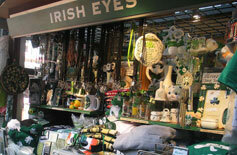 If you are looking for Irish gifts, jewelry and accessories, as well as a lively pub, consider Quincy Market and nearby Marshall St. for a festive celebration of St. Patrick's Day in Boston. 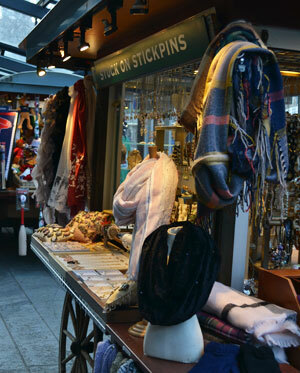 Visit the pushcarts, Irish Eyes and Stuck on Stickpins for lovely Irish gifts, pins, hats and souvenirs. 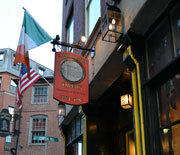 The Black Rose Pub has Irish music and food in a pub atmosphere. 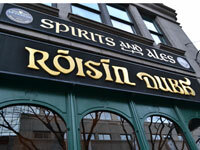 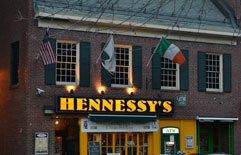 This year, Ned Devine's Irish Pub in Quincy Market is hosting Irish music and step dancing performances scheduled for Friday, March 16th and Saturday, March 17th. 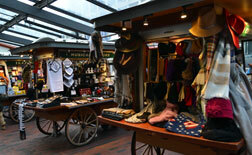 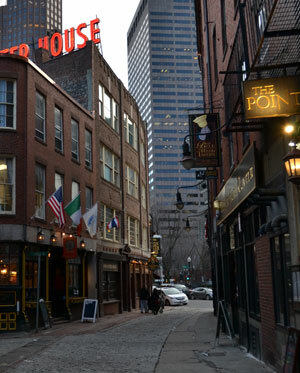 Although historic Faneuil Hall is closed for renovations, Quincy Market eateries and shops are open. 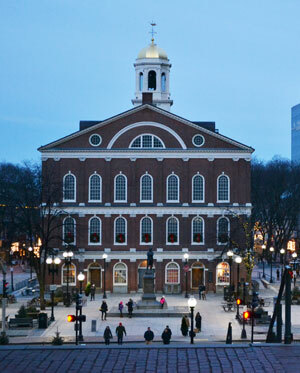 See our Quincy Market and Faneuil Hall page for more information and helpful links to shops, pubs and restaurants, and accommodations.